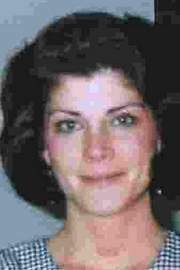 Mary Jean D’Agostino was murdered early in the morning on Aug. 29, 1993, in an apartment building at 787 Burcham Drive, East Lansing, Ingham/Clinton County, MI. She had been strangled. Earlier that night, a tenant of the building heard a woman shout, “OK, go ahead and kill me!” The East Lansing police assume it was Mary Jean’s voice that was heard. Although police identified several people D’Agostino was with the night she was killed, no one has been charged with Mary Jean’s murder. Posted on Tuesday, June 16th, 2009 at 8:04 pm. Last updated on Tuesday, June 16th, 2009 at 8:19 pm.